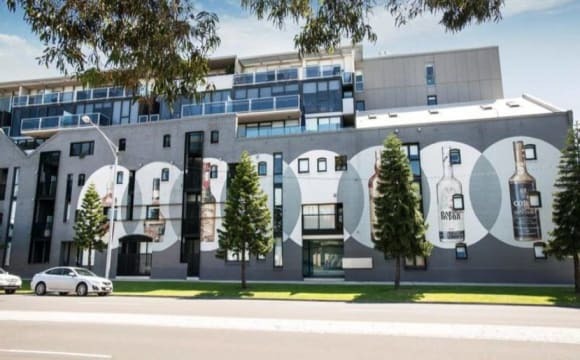 Luxury apartment building on Port Melbourne Beach This beautiful fully furnished 2 bedrooms apartment Situated just 2 Km from the CBD, and surrounded by parks, shops, cafes and pubs on Bay street. Trams and buses are all close by. The landmark 5-start resort building complex has swimming pool, gym, sauna and tennis court with 24⁄7 security and full-time building manager on site. you will have your own bathroom. The apartment has very big outdoor area/courtyard, with trees and plants and BBQ. Free to use kitchenware, washing machine, BBQ. You will share with another professional person. Please contact the host to discuss the detail and inspection/interview. Reference needed. Wifi is included. No Smokers please! I am a east going professional who works full time in the city. I tram to work and often enjoy the walk home as its 25min from Southbank. I am looking for someone who will love Port Melbourne as much as I do, take advantage of the surroundings and enjoy the local facilities. I cook and occasionally indulge in takeaway. I run regularly along the boulevard. I am looking for someone who enjoys a chat or glass of wine when needed but am respectful that as we all need our downtime. This is a three bedroom house located in a quiet location, no flow through traffic. It's 5 minute walk to the heart of Port Melbourne, Bay Street to the likes of an organic grocer, selection of cafes, french patisserie, restaurants, fashion boutiques, bars and supermarkets. 1 minute walk to the 109 Tram takes you to the CBD and the beach is 2 minute stroll away. You have a Bedroom with natural light, Queen size bed and a double mirrored wardrobe and your own main bathroom, shower, toilet and bath. There is a guest ensuite powder room downstairs. The town house is furnished with a fully equipped kitchen with electric oven, microwave, toaster, kettle and two large fridges and freezer. Ducted heating and cooling. Netflix, Internet and Foxtel. Laundry room has a washing machine and dryer. If you have a car there is a drive way for parking and an extra spot for visitors. The back entrance to the property is straight onto the bike/ walking track, 25 minute walk to Southbank and 45 minutes to St Kilda. We are a welcoming household of two females looking for a third person to share our beautiful three bedroom home in a quiet and peaceful area. The house is fully furnished with a well appointed kitchen, fire place and large entertainment area with BBQ and water feature. 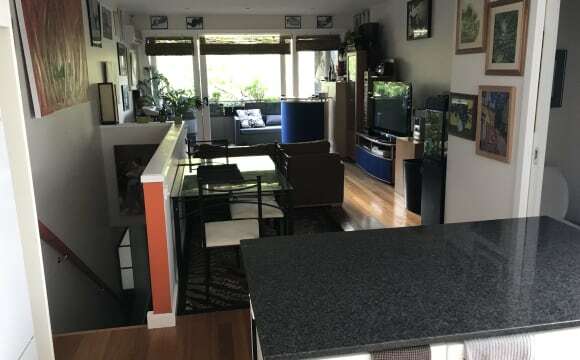 We are a short 4 minute walk to good public transport and three blocks back from the beach with good access to walking, running and cycling paths. Perfectly located for keen swimmers or beach enthusiasts.The house is close to an extensive shopping strip, parks and other sporting/gym facilities. We are looking for a tidy and responsible professional or mature student to share our warm and friendly household. Four weeks rent and bond are both required. If this sounds like you we would love to hear from you. GENUINE tenants only please. Sorry no pets. Top floor, Fully furnished apartment with secure entrance. 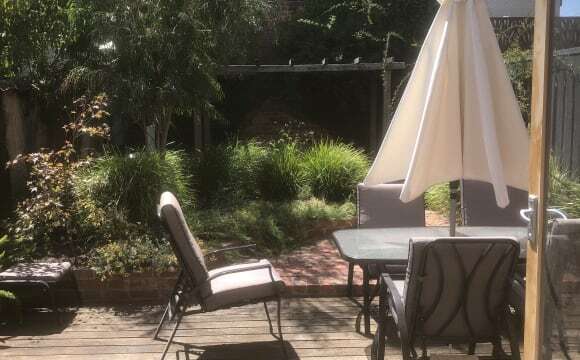 Close to public transport 2 minutes away (7 minute tram into the city), Walk to Bay Street shops, stroll to the beach and South Melbourne Market. Generous double bedroom with ample storage space (built in robes, and chest of draws). Quiet apartment block with lovely neighbours. Apartment also includes, dishwasher, heating/cooling and balcony. Great location. 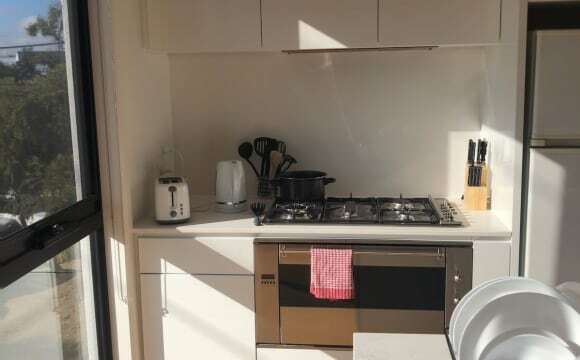 I have available 1 Bedroom with private seperate bathroom **Furnished and Professional Household** Looking for female flatmate Modern clean apartment, safe security in building, convenient and close to 'EVERYTHING' in fashionable Port Melbourne. Friendly community for those not from the area. **50m direct access to Goodlife Fitness Centre - in the same building! INCLUDING BILLS - water, gas, electricity and unlimited internet - everything! Straight access in ground floor through to awesome Bay St with its cafes / restaurants / pubs / salons, living room has small balcony view facing the city. BTW, I do have a small pooch - Prefer Short term stays of a week or couple of months - but can consider longer and negotiate cost. 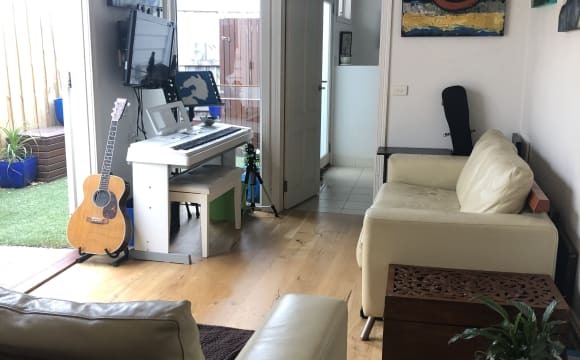 FULLY FURNISHED APARTMENT *KITCHEN with STOVE/OVEN/FRIDGE/MICROWAVE/DISHWASHER *DINING AREA TABLE CHAIRS *COMFORTABLE LIVING AREA with SOFA / TV *COMPLETE BEDDING with BEDSIDE TABLE, WARDROBE INTERNET POINTS; TV *LAUNDRY with WASHING MACHINE 200M from the beach 1.5 km / 5 min drive to South Melbourne Market. 4 min drive to Albert Park College. 4 min drive to Bay Street for all restaurant and Coles Supermarket. 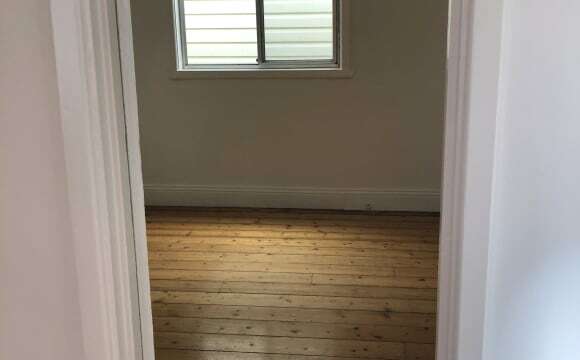 1.0 km / 3 min drive to DFO 5 min drive to Docklands. 5 min drive to Kaplan Institute. The house is a very cute corner house in Port Melbourne. The 109 tram stop is a 7 minute walk, and there's a bus stop that goes into the city a few minutes from the house too. The house has 3 bedrooms, a living/dining room, a bathroom with a bathtub, and a laundry room. The kitchen is small (see pictures), but workable. 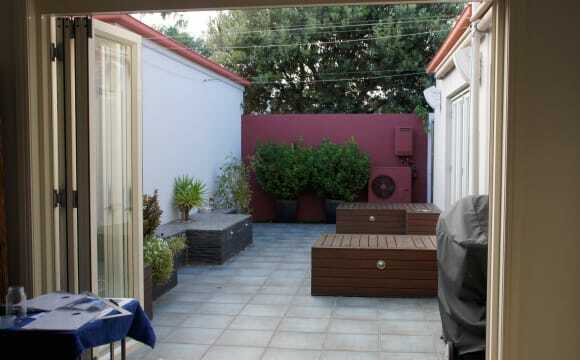 The house is close to the city, the beach, and the Port Melbourne high street with heaps of cafes and restaurants. There is a courtyard in the back and we're looking forward to hanging out back there in summer. You will be living with two attention loving dogs so unlimited cuddles if you want! We are also growing our plant family by the day so it would be great if you have a green thumb.. We have all the essentials except a washing machine, but we will be arranging for one before move in date. About you: You absolutely HAVE to love dogs. We are not accepting couples or other pets at this time. It is an all female share house, and we're looking for someone in a similar age range as us. Anna is bisexual so you must be okay living with someone queer. We are keeping our fingers crossed that we can find another shift worker! You must be okay with going on the lease (agent's orders), and we will be holding inspections from the 25th of April. If you have any questions feel free to message me! Swimming pool, gym, sea views, off-street parking. Foxtel, unlimited WIFI, BBQ, air con, dishwasher, dryer. It is a two storey fully furnished secure town house apartment with its own frontage in a quiet street and a large beautiful tree out the front, the townhouse is beautifully painted and well kept , upstairs is floorboards with open plan living with a kitchen , living room , balcony and bbq and a second toilet. Downstairs is carpeted , there is a laundry contains a washing machine and a dryer , a bathroom with a bath and both bedrooms have queen beds. Wifi can be arranged, it is 1 kilometre from the beach , and a 5 minute walk to the tram stop and 3 stops to Melb casino, 5 mins to Bay Street main shops , 10 minute walk to south melb market. Apt is Large and spacious right by the beach in an amazing location with everything you need including full Foxtel and internet etc. The apt is nice and clean, tidy and comfortable. Pool and gym in the complex which has a really nice relaxing outdoor area. Fantastic views of the bay ! The beach is 30 seconds away for those sun worshippers and Bay St Port Melbs is a 5 minute walk for coffee shops, restaurants and general shopping Choice of 2 rooms - Queen room $275pwk or large balcony room $305 pwk. I’m happy in either! Both rooms with mirrored wardrobes and furnished. 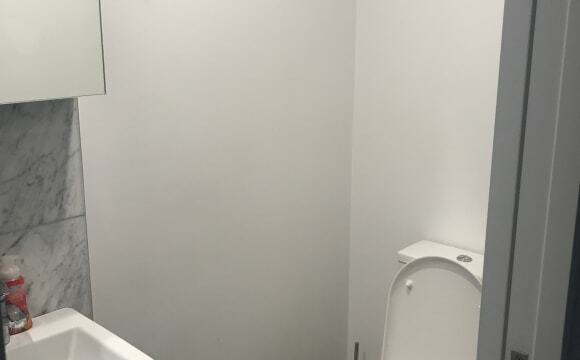 1 bathroom but its nice and big with plenty of room for 2! ***Great location*** We have a bed for a guy in a brand new townhouse in fabulous setting so close to the city and beach! and only 2 KM from Melbourne CBD. Enjoy a privileged Bay-side lifestyle in Port Melbourne only a short stroll to Docklands via South Wharf or South Melbourne Market. INCLUDING BILLS - water, gas, electricity and unlimited internet. 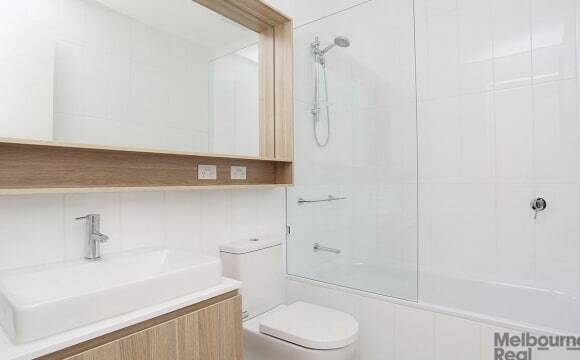 Fully furnished room with ensuite bathroom. FULLY FURNISHED HOUSE *KITCHEN with Full-sized STOVE/OVEN/FRIDGE/MICROWAVE *DINIG AREA TABLE &amp; CHAIRS *LARGE COMFORTABLE LOUNGE ROOM with SOFA / TV *COMPLETE BEDDING with BEDSIDE TABLE, WARDROBE and AIR CONDITIONER *LAUNDRY with WASHING MACHINE and DRYER MACHINE *INTERNET *PARKING Location: Only 2 kms from Melbourne CBD, positioned between Port Melbourne Beach and the Yarra River, with easy access via light rail tram to the CBD and Melbourne's riverside entertainment complex. 4 min drive to Port Philip Bay. 1.5 km / 5 min drive to South Melbourne Market. 4 min drive to Albert Park College. 4 min drive to Bay Street for all restaurant and Coles Supermarket. 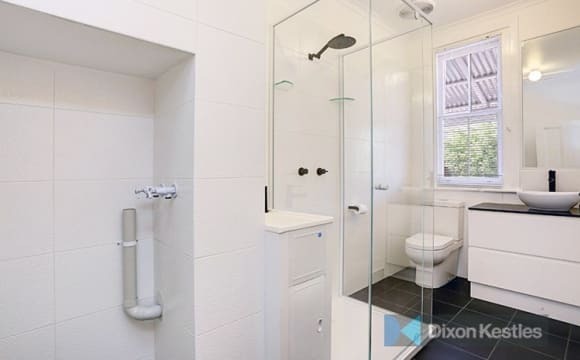 1.0 km / 3 min drive to DFO 5 min drive to Docklands. 5 min drive to Kaplan Institute. The bond is 2 weeks rent. Please give me a message with your short self introduction to arrange an inspection. I've lived here for just over a year and am loving it as the property has been recently renovated so everything is in great condition. It's in a lovely quiet leafy street which has free parking right outside the front door. We're only a short walk to the 109 tram stop which takes you into the heart of the city in 10 minutes if that. It's also not far from the Bay Street, the beach and the city so everything is on your doorstep. The bedroom is a decent size with built in wardrobes and has good natural light. Aircon, Netflix, internet, tv, Two balconies, cool people with different cultures, BBQs, drinks, hiking. 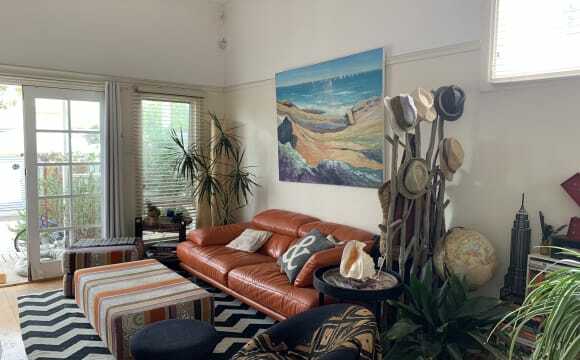 Situated in the landmark of Port Melbourne and just a block from golden beaches. Bedroom includes elevated east facing windows, bringing in the morning sun providing vistas over treetops and the beach. A double Sofa Bed or own furniture, with fitted sheets and a blanket. Includes a 25m heated lap pool, well-appointed gym and manicured gardens perfect for relaxing outdoors. Located across the road from the iconic Gasworks Park, a block back from Port Melbourne beach and moments from bustling Bay Street. Dear new flatmate, This brand-new town house has everything to make you feel comfortable, surrounded by friendly people and to definitely make you feel home while you stay in this amazing city. The kitchen on the first floor is bright and also fully equipped with glassware, cutlery, home appliances and any other cooking tools needed. The living room is spacious, cosy and perfect for Netflix movie nights as we have got a 48” TV. There is also a small and cute balcony next to the living room appropriate enough for sharing some beers during summer or some coffee during winter. Doesn’t matter if you ride a bike or a motorbike, it can be perfectly fitted in the garage of the house. There are 3 bathrooms in total well distributed among the property which helps to avoid any kind of shower queue. Finally, the location is just great, as the tram stop is just 7 min by walk and once in the tram it will take you another 8 min to get to the CBD (Crown Casino Area). Amazing location. New building. Parking just off site. Own bathroom with bath/shower! Netflix, internet, air conditioning and balcony!! 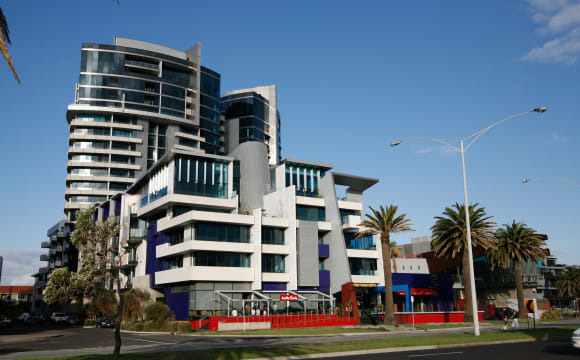 Large 2 bedroom apartment in sunny and beach side Port Melbourne. Modern house, floor boards in the living and kitchen areas, carpets in the bedrooms plus a large outdoor terrace with BBQ and outdoor dining. 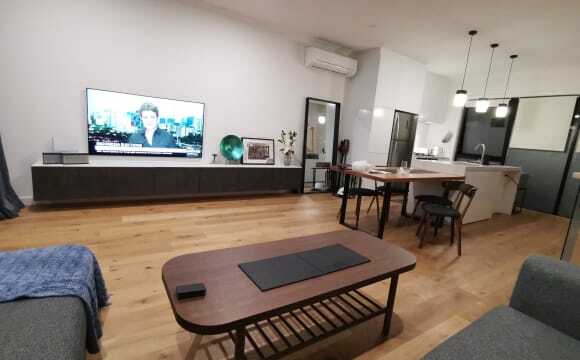 Apartment is fully furnished with new couch, big TV, new washing machine in the laundry, kitchen has every appliance you would need (big fridge, dishwasher, oven, microwave etc...) bathroom is quite big and double shower. Car parking is very easy in the street and there is an under ground visitors parking area for the building. The building also has a common area, secure access and door phone. Very quiet area and easy access to supermarket, cafes, bars, the beach, trams every 10 minutes a 3 minute walk away and buses local so it's only like 10 minutes from the CBD. Beach side living; the water is less than a minute walk away and bike and running tracks that go everywhere, gym right across the road. Welcome to Melbourne! Looking to meet fun loving people from 10+ countries? You have come to the right place!! Our properties has: -Three rooms -Three bathrooms -Parking lot -Modern kitchen -Living room -Dining room -Dishwasher -Oven -free Internet -Free Netflix HD -Air conditioner -Washing machine -Yard If you want, you can tell us a bit about yourself. If you are coming to Australia for the first time, we can offer these services. We have different services that we can offer you. - Pick up at the airport - Prepaid SIM card - Bank account opening guide - Public transport card - Scooter for rent and get a discount in your rent. Our house is in a quiet street a few minutes walk to supermarket, cafes, bars, the beach and transport. There is plenty of free untimed street parking. Couples $400/week including all bills.